A3 posters from are printed on your choice of 150gsm Economy, 250gsm Premium or 350gsm Exclusive silk. 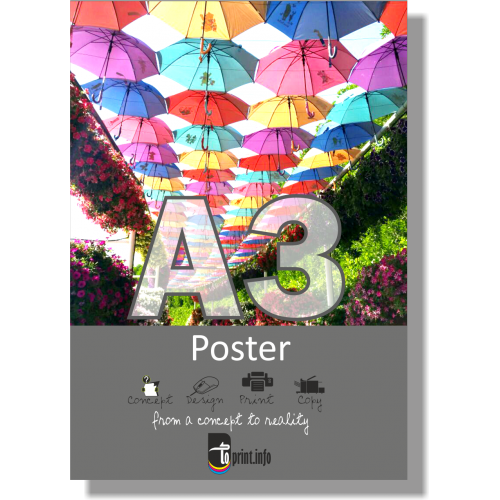 At 29.7 x 42 cm, our most affordable posters are ideal for indoor placement. They are big enough to get a solid message across without becoming too imposing. 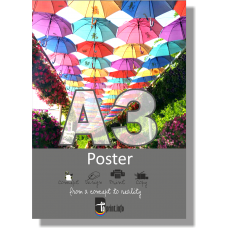 A2 PostersA2 posters are 59.54 x 42 cm and make a bigger impact than possible with an A3 without bei..